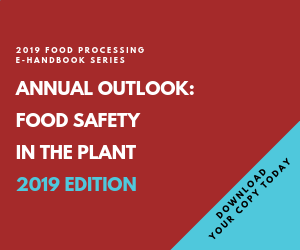 There are two recent developments regarding preemption of state food-safety warnings that could prove important to the food industry, with respect to immediate impacts and implications for future requirements. The developments concern a California court decision on Proposition 65 warnings for mercury in canned tuna, and the proposed National Uniformity for Food Act. Proposition 65 requires California to maintain a list of chemicals known to the state to cause cancer or reproductive toxicity. All companies “doing business” there must provide a clear and reasonable warning before knowingly and intentionally exposing anyone to a listed chemical, unless the exposure is below the “no significant risk level” (NSRL) for carcinogens, or below the “maximum allowable dose level” (MADL) for reproductive toxins. Other exemptions from the warning requirement include exposures for which federal law preempts state law, and exposures to listed chemicals that are naturally occurring in food. The California Attorney General filed a lawsuit in 2004 seeking Proposition 65 warnings on canned and packaged tuna products containing mercury and mercury compounds, which are listed as carcinogens and reproductive toxins. In May, San Francisco Superior Court judge Robert Dondero ruled, in People v. Tri-Union Seafoods, that Proposition 65 is preempted by the federal Food, Drug, and Cosmetic Act with respect to warnings for mercury in canned tuna. The decision was based on multiple grounds. Judge Dondero gave “substantial deference” to FDA’s position (as stated in an August 2005 letter from former FDA Commissioner Lester Crawford to Attorney General Bill Lockyer) that the proposed warnings were preempted by the Act due to conflict with the federal policy to provide information about the risks and benefits of eating canned tuna through advisories. Judge Dondero wrote that warnings for a healthy product the federal government encourages people to eat would be “misleading” and that tuna canners could not comply with both federal and state law without rendering their products misbranded under federal law. Dondero also disagreed with the Attorney General on scientific issues, concluding that most methylmercury in canned tuna occurs naturally in the ocean, rather than resulting from human activities. Moreover, Dondero found the human epidemiologic studies used by the Attorney General were insufficient to support a MADL. The tuna canners relied on a 1993 draft MADL from California’s Office of Environmental Health Hazard Assessment (OEHHA), based on animal studies. Dondero accepted the draft OEHHA MADL and the tuna canners’ potential exposure estimate (which was below the draft OEHHA MADL). The Attorney General filed objections, which Dondero treated as a motion for reconsideration. At this time, it is unclear to what extent the case will affect the Attorney General’s January lawsuit seeking Proposition 65 warnings in retail stores about mercury in fresh and frozen fish. In March, the U.S. House of Representatives passed H.R. 4167, the National Uniformity for Food Act of 2005. The act would preempt a state notification requirement that provides for a warning concerning the safety of a food, unless the state requirement is identical to a federal requirement. The bill, introduced in the U.S. Senate on May 25 as S1328, defines “warning” as “any statement, vignette or other representation that indicates, directly or by implication, that the food presents or may present a hazard to health or safety.” States could petition the FDA for an exemption, or for a new national standard. Opponents believe that the bill, if implemented, would preempt up to 200 state laws concerning food safety. Supporters of the bill claim only 11 state laws appear to be affected (including Proposition 65, see above). Supporters of the act also claim state laws regarding food sanitation; meat and poultry safety; state inspection and enforcement authority; and label statements other than warnings would not be covered. The bill passed the House without a hearing, but 20 senators sent a letter to the Majority and Minority Leaders urging a hearing in the Senate. Keep watching this space for updates on both these critical issues. Leslie T. Krasny is a partner at the law firm of Keller and Heckman LLP, San Francisco office specializing in food and drug law with emphasis on food safety, food labeling, ingredient evaluation, organics, biotechnology and advertising. She is a member of the California Bar and holds a master’s degree in cell and molecular biology.